Receiving advice on limiting salt consumption helped kidney disease patients lower their systolic blood pressure by an average of 11 mmHg. Limiting salt intake also reduced excess fluid retention that is common among patients with kidney disease. Washington : In a study of patients with chronic kidney disease (CKD), simple advice from dieticians on limiting salt consumption led to reduced blood pressure. The findings, which appear in an upcoming issue of the Clinical Journal of the American Society of Nephrology (CJASN), point to a practical way to potentially improve CKD patients’ health. 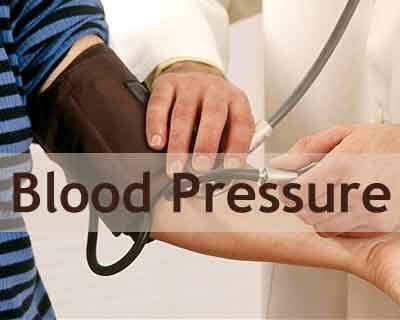 Reducing volume expansion and blood pressure are important for slowing the rate of CKD progression. To see if a sodium restricted diet might help achieve this, Rajiv Saran, MD (University of Michigan, Ann Arbor) and his colleagues conducted a randomized crossover trial. A total of 58 adults with CKD followed a sodium restricted diet (<2g of sodium per day) or their ‘usual diet’ for 4 weeks, followed by a 2-week washout period and then a 4-week period when patients crossed over to the other diet. During the sodium restriction phase, patients did not eat prepared low sodium meals; rather, dieticians provided counseling every 2 weeks using motivational interviewing techniques. In 79% of participants, dietary sodium was reduced during the restriction phase, and 65% of patients reduced their intake by >20%. During that time, patients experienced an average reduction of 11 mm Hg in systolic blood pressure and an average reduction in volume of 1 liter. “We found that reducing sodium in the diet helps to significantly reduce blood pressure and reduce the excess fluid retention that is common among patients with kidney disease,” said Dr. Saran. “This did not require complicated pre-cooked meals and was simply based on common sense advice given by trained dieticians that helps patient understand what it takes to reduce salt in their diets and what the potential benefits are likely to be.” Dr. Saran noted that, if applied diligently, sodium restriction may help patients take fewer blood pressure medications. It may be correct in countries like canada and USA. but what about countries like India where people loose lot of sodium through sweat. ?